You have got a wicked and very dedicated collection. Congrats! Ah thank you man! Cool that you checked it out. Today I even received a new one! 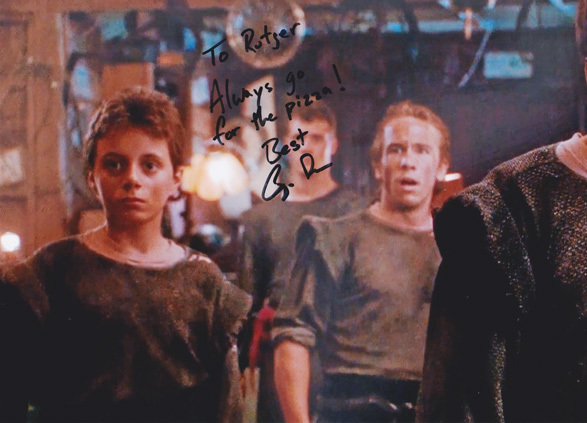 Gianpaolo Bonaca played a very young Foot soldier in TMNT: Secret of the Ooze. You can see him in the scene where the Foot soldiers regroup at the Junkyard. He says: "Well maybe they didn't find us!" 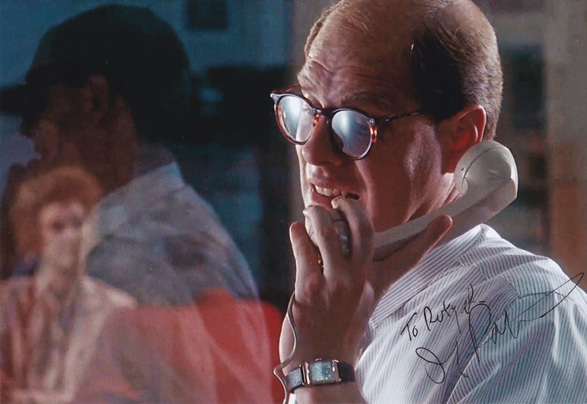 He signed and inscribed my picture from that scene! Awesome!! Finally been able to get in contact with Thomas K. Gray, the producer of all the classic TMNT movies. He was quite impressed with the collection and sent me an exclusive photo of his own from the set of TMNT III. Last edited by Raph; 10-01-2017 at 02:25 PM. Awesome!! Finally been able to get in contact with Thomas K. Gray, the producer of all the classis TMNT movies. He was quite impressed with the collection and sent me an exclusive photo of his own from the set of TMNT III. Today is my birthday, and how how awesome is it that when you open your mailbox you find an autograph from the person you've been trying to find for the 11 years you've been collecting TMNT autographs. 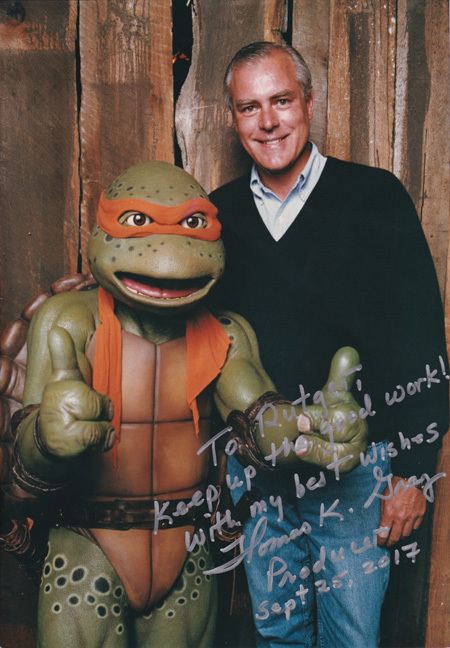 Jay Patterson, Charles Pennington from the original TMNT movie sent my photo back signed!! Such an awesome birthday present! Last edited by Raph; 10-11-2017 at 11:37 PM. Happy Birthday dude, that's a great present indeed! And suddenly it's almost 6 months later!!! 7 months ago something wonderful happened to me. I cosplayed a well known European comicbook character called Lucky Luke, seems I did it so well and look so much like him that I became the official real-life version here. 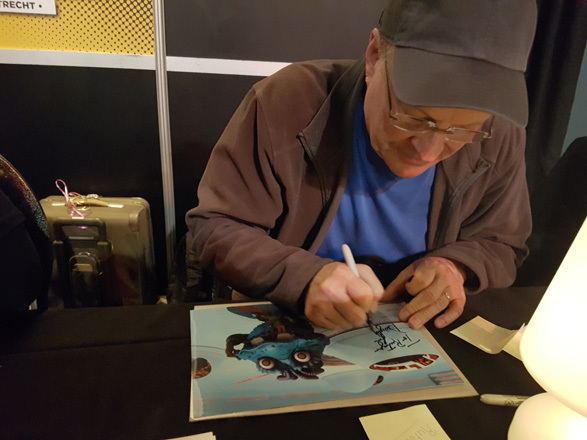 That sure took some time away from drawing and TMNT collecting, but I was fortunate to meet Dwight Schultz again this weekend after 18 years. So I had to bring a picture of his 2012 TMNT character Wyrm! Wow just received an envelope in my mailbox with a signed photo that I did not expect. 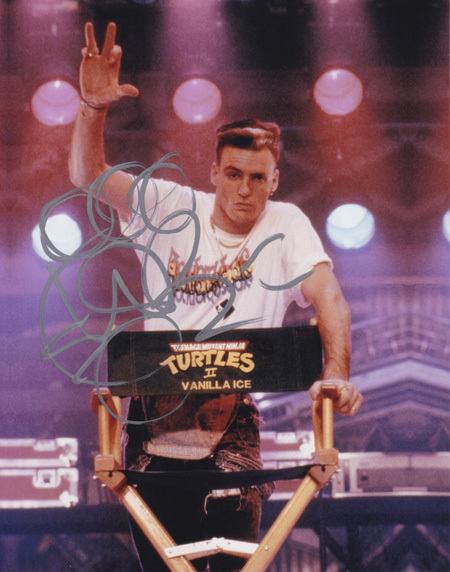 It's gotta be about 3 years since I last tried, but I got my photo back signed by Vanilla Ice from Turtles II: Secret of the Ooze. Nice, congrats! And way to stick after it dude. 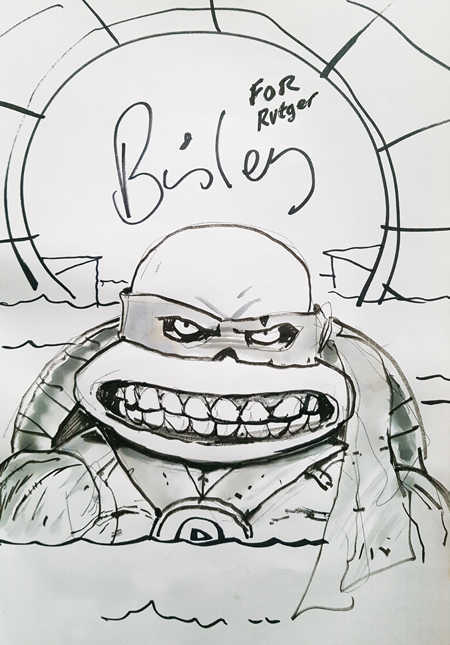 And from the London Film and Comic Con I got this cool piece from UK based TMNT artist Lee Bradley. Love it! Man!! I'm so happy! Got a cool update. 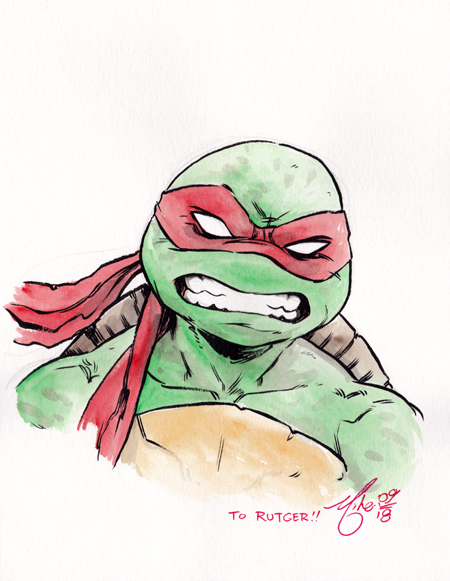 And it's been a while I haven't posted a lot and TMNT autograph are really slow lately. I had the busiest and toughest year ever with my dad having cancer and me becoming famous here in The Netherlands as the official Lucky Luke lookalike. Lucky Luke is a famous European comicbook character just like Tintin and Asterix. And since I handmade a cosplay costume and seem to look so much like him, I became the official real life mascot for the publisher. Giving me great oppurtunities. 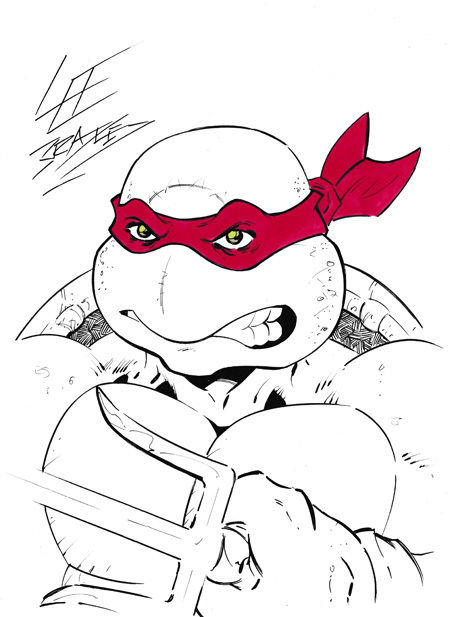 But onto TMNT updates now! I finally got my photo back from the London Film & Comic Con, signed by Paige Turco. All this time I still needed one for the third movie! And the other awesome news is from last weekend. I went to a Belgian Comic Con called FACTS. 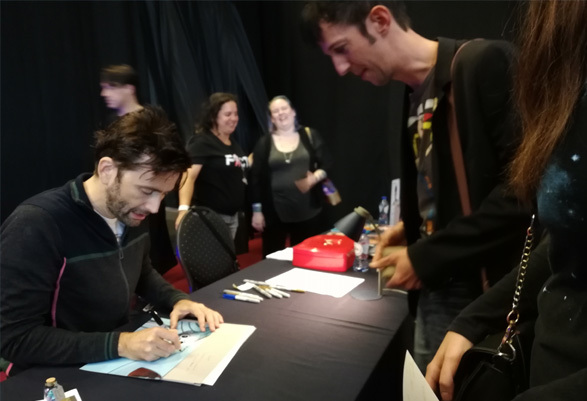 And David Tennant was there . You all know him as Doctor Who, but also as professor Zayton Honeycutt a.k.a. The Fugitoid in the Nickelodeon 2012 series. 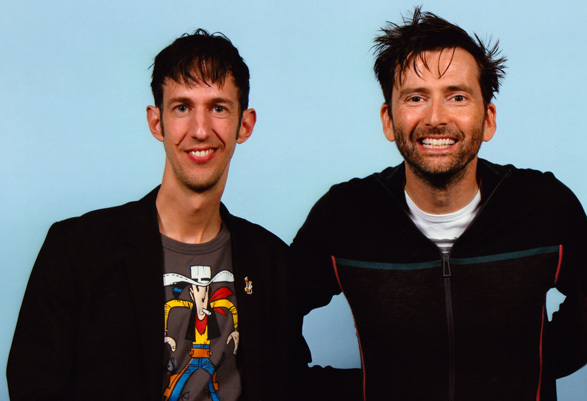 I was so excited and he was awesome and nice. 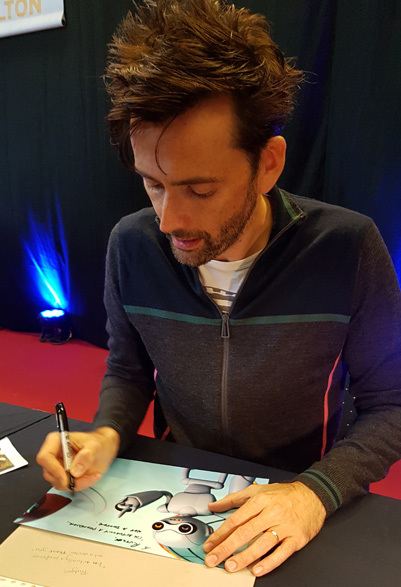 He told me this was his first Fugitoid photo that he signed! Thanks man. Glad I had something to post again. Like I told in my update, I've been so extremely busy! No time to hunt and write letters to new TMNT contacts. I know it's been quiet again, but life is crazy. 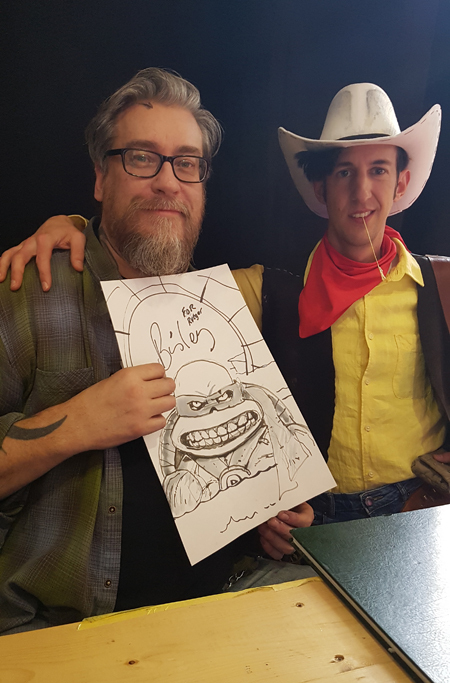 I'm getting famous in Northern Europe as the official Dutch Lucky Luke, traveling and visiting Comic Cons. So hunting online for TMNT people and writing them isn't really a priority anymore. 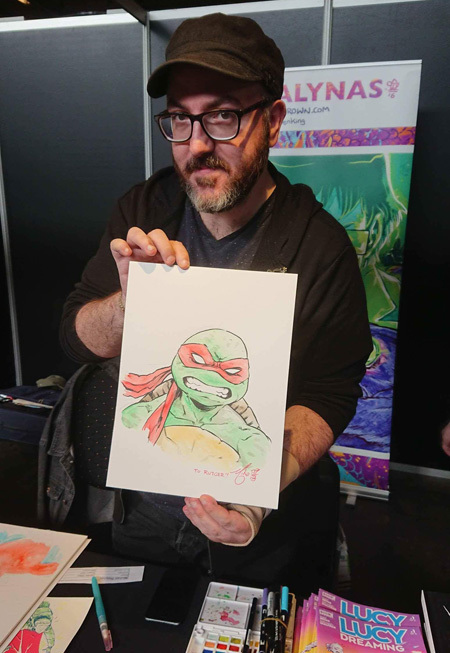 Fortunatly another TMNT artist came to one of those Comic Cons, in Brussels this time. 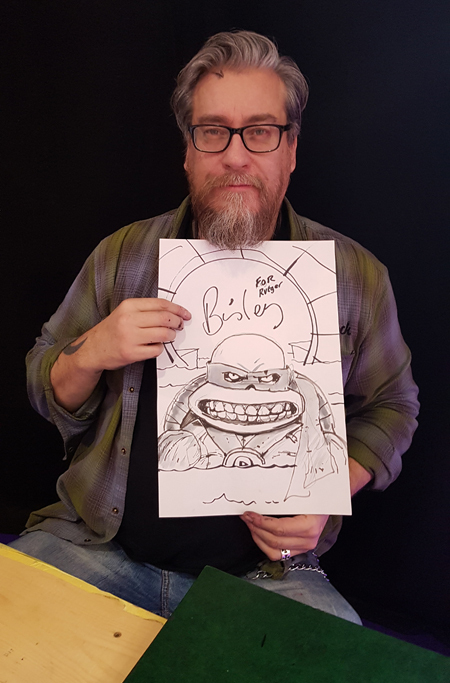 And it was none other then Simon Bisley who worked with Kevin on the Body Count comics! 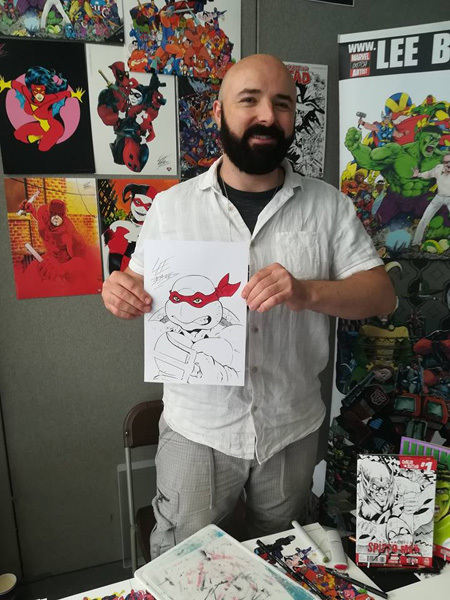 I asked for a quick pencil sketch since he was booked with commissions and he made me an awesome 10x16 Raphael bust which you can see in the Artists alley here. Got his picture too He is just an awesome dude! So glad I met him. Last edited by Raph; 03-12-2019 at 04:48 AM.